Happy Easter Readers! I've decided to release my popular Peter Rabbit Stationery Suite as a free digital download All My Pretty Books readers. 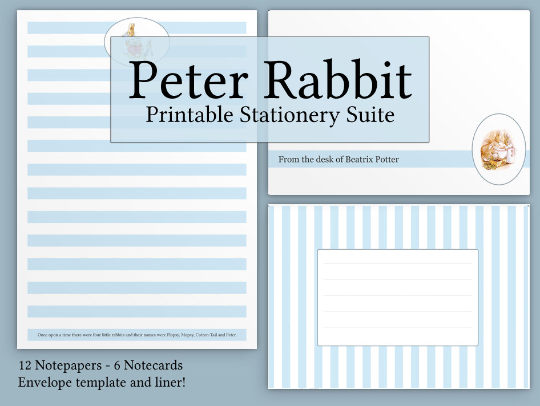 The printables in this suite include 12 A5 sized notepapers, 6 A6 notecards and an envelope template with liner, featuring characters and quotes from Beatrix Potter's original Peter Rabbit stories. The files are in PDF format, and are designed to be printed on A4 paper and card. Simply download the files below and print to your heart's content! I hope you enjoy using these pretty literary printables! Please let me know how you've used them by leaving a comment below. I photographed a fundraising conference here recently. What a wonderful place for photos. I almost always hate being anywhere at 6am, but this breakfast event proved an exception. The manger and his staff from Los Angeles event venues were extremely professional.